Breakfast is regularly called the most important meal of the day, and for good reason: It gives your brain and energy a kick after fasting for 8 to 10 hours overnight. In fact, according to a report from the University of Florida, students who eat breakfast have higher test scores, superior concentration and better muscle coordination and are less likely to miss or be late to classes. 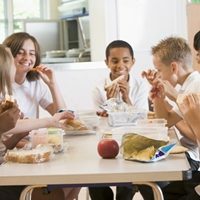 Eating breakfast also contributes to improved classroom behavior. Keep your kids focused and engaged. With so much going on at school – between classes, social networks and extracurriculars – it's easy for students to disengage or be easily distracted, leaving assignments half-finished and lectures ignored. 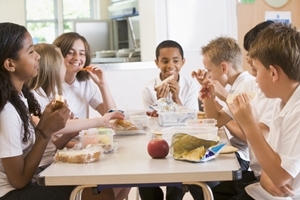 A healthy diet, however, can help kids keep their eyes on the prize. By focusing more on wholesome items – such as fruits, vegetables and whole grains – and reducing fried foods and those loaded with artificial sugars, parents can help their young ones avoid the energy spikes and crashes associated with these latter items. As Adam Volland explained in U.S. News and World Report, "If your grandmother couldn't recognize something as food, you probably shouldn't eat it." Fight absenteeism – and sickness. When children receive the nutrients they need daily, they are better able to fight the wealth of germs and sicknesses that can occupy any school. Losing time in the classroom can be especially detrimental for young learners, Attendance Works reported. This accumulated time not spent in school can result in learning deficits that affect students in the long term. You can help your kids reduce the amount of school they miss as a result of sickness. Focus on getting your kids the recommended amount of vitamin C, which the National Institutes of Health explained contributes to individuals' ability to bounce back from illnesses faster and more successfully. You can serve your children a glass of orange juice with breakfast or pack an orange in their lunch sack. Reap the rewards on test day. As students are better able to focus on their schoolwork and studying in line with the Common Core curriculum, the likelihood of performing well increases. The Food Research and Action Center reported that kids who eat a healthy diet make fewer mistakes and work faster on math and verbal exams. Additionally, these students better handle frustration. As if this weren't convincing enough, research from Action for Healthy Kids explained students who eat a healthy diet perform 17.5 percent better on standardized math tests and attend 1.5 more days of school annually.